Hands on with Apple News+ — Is it worth the monthly fee? 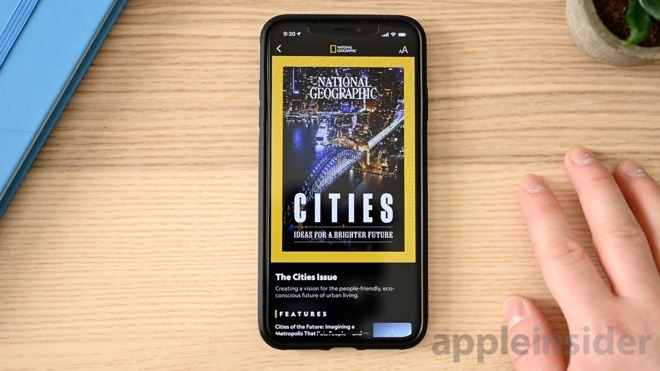 AppleInsider takes you in-depth with the new Apple News+ subscription service to show you how works with both free and paid content on the iPhone, iPad, or Mac—and whether or not it is worth subscribing to. Apple News+ is Apple's latest offering into the service arena. It was announced at its March event alongside the Apple Card, Apple Arcade, and Apple TV+. Of all the announcements, Apple News+ was the only one to be available immediately thanks to iOS 12.2 and macOS 10.14.4. We've spent some time toying with the new service and will walk you through the feature highlights, how to cancel your subscription, and evaluate whether or not Apple News+ is worth its monthly fee. Apple News+ resides as a new tab in the News app. The morning/evening digest tab has now been renamed "News+". After updating your devices and launching the News, everyone can start a month-long free trial before the $9.99 fee kicks in. Family Sharing is included with News+, requiring no additional fee for each person in your family to also have access with their own personal recommendations. In that tab, there is a sliding bar along the top that breaks down the available magazines by interest. The first two in the list also make the periodicals viewable alphabetically. Below that is where "My Magazines" live which consists of magazines you've downloaded or started reading. 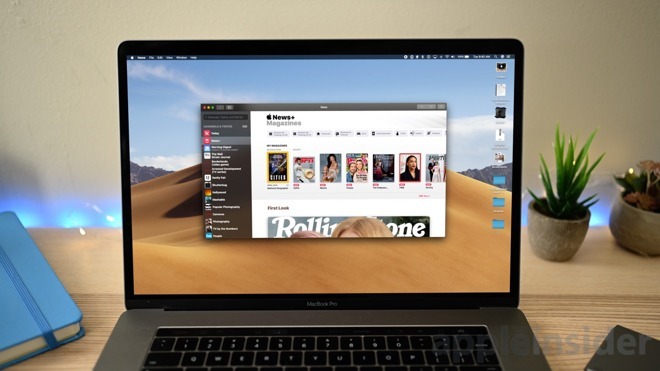 Alongside is a list of recent magazines that Apple News things you may be interested in. A download button sits next to each of these installments for offline viewing. Everything in Apple News syncs via iCloud, so any time you start reading on one device, it picks right up on another. Apple News+ is available not just on iPhone, but iPad and Mac as well. Magazines in Apple News+ go between simple PDF-like pages and full interactive spreads. Newer, and larger, publications will likely devote added resources to these better layouts while others will more simplistic. Regardless, they all look great on any device. In our testing, iPad was the best device for consuming magazines with the large beautiful display making it a joy to use. Apple News on Mac still seems a bit of an afterthought, not seemingly entirely optimized for a desktop experience. Still, it is better to have slightly subpar access than no access on our Mac. One of the big benefits of Apple News+ is access to The Wall Street Journal. You don't have to pay the $40 a month that WSJ charges for digital access, though the content is slightly different. Apple News+ will present a curated slate of stories that are tailored to you as well as a general audience. To access more articles and topics you have to dig into the app a bit which keeps them largely out of reach. WSJ offers more stories, better curations, and additional benefits by subscribing directly. As we said, Apple News+ is a monthly $9.99 subscription. When signing up, you get one month for free before billing commences. If you aren't a fan of Apple News+, canceling is easy. Just head to your iTunes account, tap Manage Subscriptions, and tap on Apple News+. 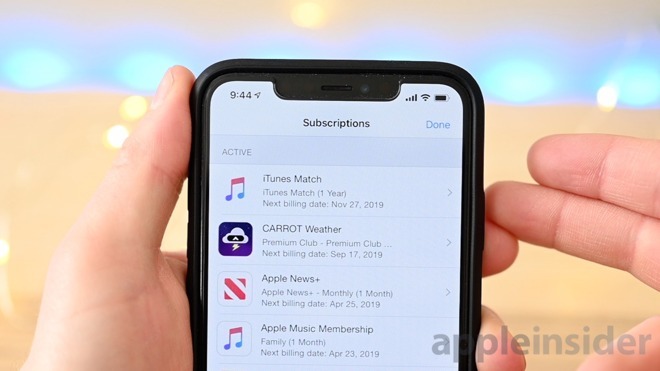 It will appear in the list just as Apple Music, iTunes Match, and App Store subscriptions reside. This screen will tell you how much the subscription costs, when it bills, and when it expires. Even the status of the free trial period. Make sure to check out our more in-depth piece on how to manage your subscriptions if you need additional information. That brings us, as it always does, whether or not the product is worth the price paid. In our opinion, the answer is a resounding yes. Apple News+ contains more than 300 magazines which outpaces the roughly 200 that were offered in the acquired Texture subscription service. Texture ran the same price, with similar features, and less content. If you enjoy reading magazines or dipping your toe into The Wall Street Journal then Apple News+ is an easy decision to make. There is endless content available, an engaging experience, and access for your whole family across multiple devices. That is a good value for what Apple asks for in return. If you don't read News or don't peruse magazines then Apple News+ is a nonstarter, but for those that do, it is a bargain.